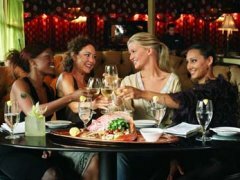 Santa Clarita's Restaurant and Dining Guide! Yes, we have chain restaurants in SCV...but have you noticed how many "mom & pop" restaurants we have? And some of LA's finest chefs live in SCV and have opened their own restaurants right in Santa Clarita Valley! Check out our list below. 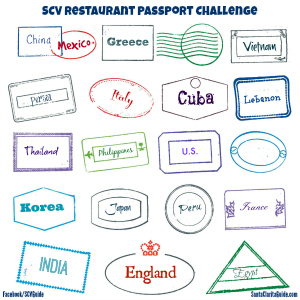 Tour the World in SCV! A fun night out can quickly turn into the worst night of your life if you don't drink responsibly. Not only does local law enforcement regularly set up DUI checkpoints in Santa Clarita, but loss of life is a tragic consequence. The legal blood alcohol limit in California is .08% (.04% or more if you drive commercial vehicles; .01% or more if under 21), but how many drinks can you consume before crossing that limit? Check the chart at the link above. Find the rating of all Santa Clarita restaurants here. Initiated by Supervisor Antonovich in 1997, the County's Restaurant Food Grading provides consumers with vital information to make informed choices on the food establishments they choose to patronize. A fun, bear-themed atmosphere with home-style comfort food classics. Breakfast is their speciality. Over-the-counter dining experience geared to diners looking for great food and desserts in a fast, casual setting. An old fashioned butcher shop. Also known to grill meats and sell sandwiches. With over 200 restaurants, you no doubt have heard, or experienced this consumer favorite! Open for breakfast and lunch, serving up home-style cooking, this location has been a fixture in filming for decades. Although this is a growing national chain, it's fast become a locals' favorite! A wine bar, cheese shop and coffee shop. Experience the elegant atmosphere coupled with panoramic views of the Valley at The Oaks Grille featuring the Atrium and Veranda. Dine on a gourmet seasonal menu featuring a balance of traditional favorites prepared by Award Winning Chef Daniel Otto with regionally available ingredients to ensure a fresh and exciting experience. Serving up American fare in a rustic, yet refined, atmosphere. Outdoor seating available. Serving up home-style cooking in an "old" western saloon, complete with saloon girls. Southern style Barbecue cuisine. Slow smoked meats and traditional southern sides with a gourmet twist. The first established Japanese Burrito restaurant in Southern California. Also serving sushi pizza. Casual dining, clean, low-fat, fusion prepared fresh.